But wait, you say, I have a waterproof decking covering my vinyl deck, so I’m okay, right? Unfortunately, if a vinyl deck membrane is not installed correctly your entire deck could be suffering from water damage without you knowing. This means that the damage could be that much worse once it’s discovered. 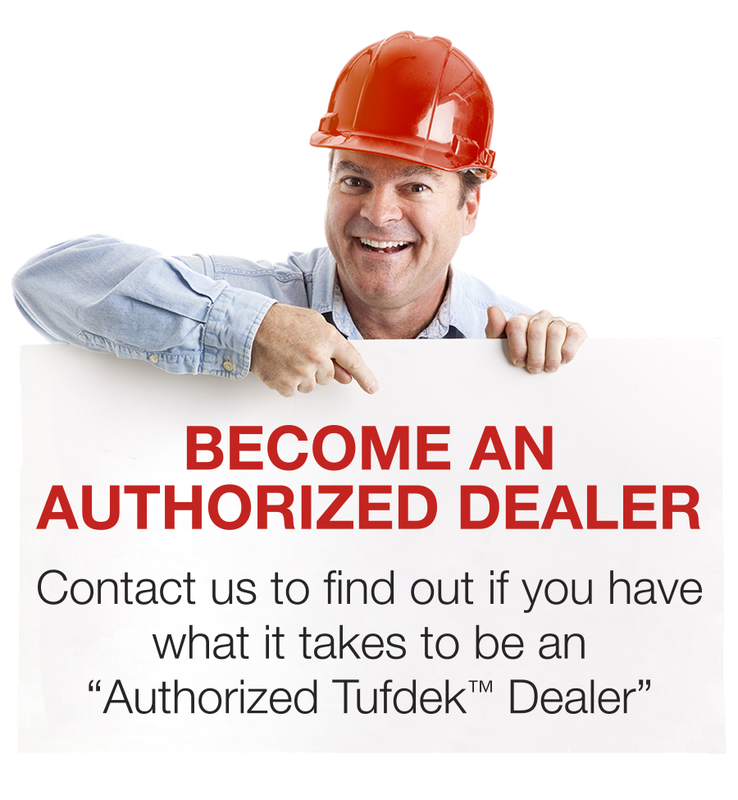 Follow tips from Tufdek below to find and fix water damage on your vinyl deck or contact our team today to make your next project is done right with Tufdek Waterproof Deck Solutions. Water flows downhill so most of the time you can simply follow the path water takes when it rains (or use a hose to imitate the same). However, wind can also play a factor, pushing water against gravity and into places you wouldn’t expect – so it’s a good idea to take a look the next time you have a rainstorm that includes wind. Once you’ve identified where water comes from and where it goes, you can ensure that it is being removed from the surface quickly and correctly, as you don’t want it to linger. 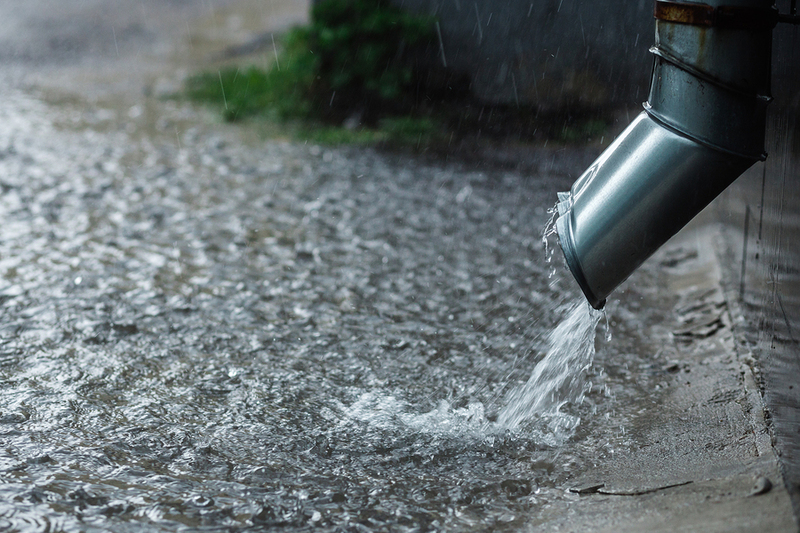 Your home is protected from water damage in a few different ways. You have a roofing surface that directs water of your home and into gutters, which direct the water away from your home. You also have siding on your home to keep water away from the walls of your home, and underneath you have some type of waterproof barrier. Decks are similar and they also make use of these waterproofing methods that already are implemented. Of course, this is as long as the deck and waterproof membrane is installed correctly. Your deck ledger is the board that attaches the deck itself to the home. In this area, you have no siding, so it’s important that above the ledge you are ensuring that water can’t run under or around the deck ledger or it will rot. In most cases, flashing is used to run up underneath the siding and under the vinyl deck’s surface to create a waterproof barrier. The primary advantage of waterproof vinyl deck surfaces is that it creates a waterproof barrier between the water on your deck and the wood or other surfaces underneath. Unlike wood decks, this means you don’t need to conduct annual maintenance to stain or seal the deck. You also don’t need to worry much about the wood underneath your deck (posts and beams) as long as the vinyl deck surface has been installed correctly. Another area where water can potentially cause problems is the edge of your deck. Water can, and will, roll down the edge of your deck and can end up underneath – even rolling under the deck surface itself, if allowed. Tufdek installed products manage to avoid this issue by often installing flashing underneath the deck membrane. This design creates a beveled edge that water can drip off of to land on the ground. One of the most common areas of water damage on older vinyl decks is where the vinyl membrane meets a post. Unfortunately, prior building codes (and unscrupulous builders) didn’t pay much attention to the need for waterproofing around posts. This approach to vinyl deck building can lead to water running down the post and under the deck surface. Over time this can lead to significant water damage; reducing the structural integrity of the post as well as potentially allowing the deck boards underneath the surface to rot and become unsafe. Again, newer waterproof vinyl surfaces can help protect posts and the underlying structure. By wrapping the bottom section of the post with vinyl membrane and using flashing when necessary, vinyl deck owners can ensure that the post and deck boards remain dry for the long term. With DIY vinyl decking, there can be a temptation to simply rip up the old vinyl surface and slap a new vinyl membrane on top. The downside is assuming that this approach will offer waterproof protection to the substructure. While this is true, it won’t help if the substructure already has water damage which has led to a deterioration of the integrity of the underlying beams and posts. While the deck surface is removed, older decks should be thoroughly examined to ensure that any damaged areas are repaired or replaced. Any areas where water may penetrate to reach that area of the deck should be fixed so the same issue cannot occur again. By installing a waterproof deck surface you are increasing the safety of your deck. A waterproof membrane, by preventing water from accessing the underlying structure, can and will keep your deck in top condition longer. This means you’ll never have to worry about rotting boards or structurally unsound supports. Installed correctly, a vinyl deck membrane can extend the lifespan of your deck and ensure that everything is watertight. In addition, for older decks, a vinyl decking replacement provides an opportunity to examine the safety and integrity of your deck. Older building codes aren’t as stringent as newer codes when it comes to decks, meaning that your older deck might have used nails where lag bolts or screws are now necessary. By bringing your deck up to code you can ensure long-term safety. Before embarking on a quest to ensure that your deck is protected from water damage, get a professional opinion. Today’s deck contractors know the ins and outs of deck building codes. They also know the best way to approach your project to minimize costs. Using a professional vinyl deck installer can help to ensure that your deck is completed to your satisfaction, adheres to warranty specifications, and is protected from water damage. 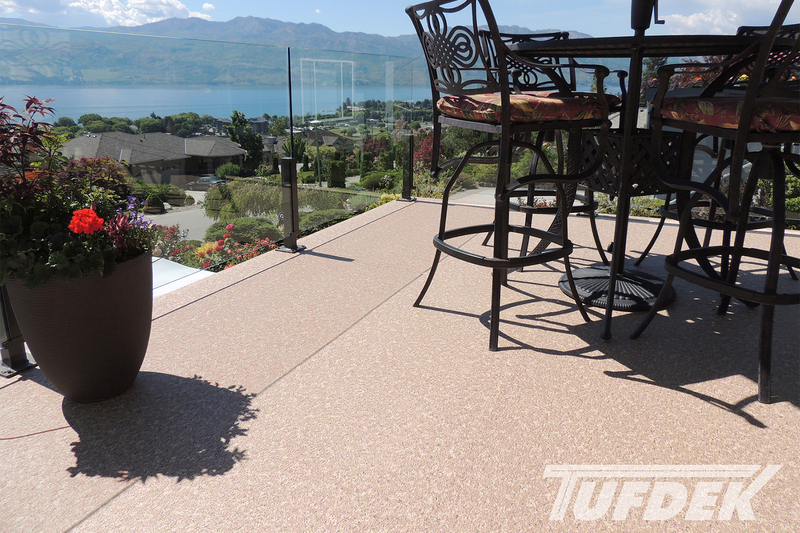 How TufdekTM Waterproof Vinyl Decking Is Manufactured from Tuff Industries Inc. on Vimeo.